You can import questions from a QTI package into an item bank. This lesson describes how to add a QTI package to an item bank by creating a new item bank. You can also add a QTI package to an empty item bank that has already been created. Click the title of an assessment. Click the Options icon  and select the Manage Item Banks option . In the Bank Name field , enter the name of the item bank. To save the bank, click the Create Bank button . Click the name of your new item bank. Click the Options icon  then select the Import Content option . Note: If there are questions in your item bank, you will not be able to select the Import Content option. 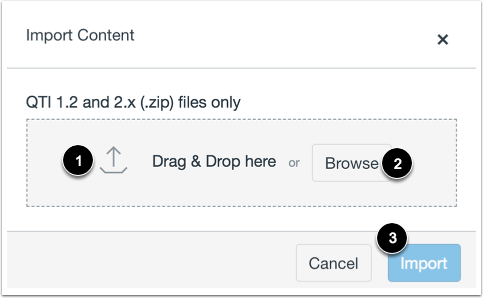 To import a QTI file, drag and drop the file  or select a file by clicking the Browse button . To start the import, click the Import button . A status bar will display the status of the import. View the imported questions in your item bank. To add a new question to the item bank, click the Add New button . To edit an item bank question, click the Edit icon . To move or copy a question to another item bank, click the Copy icon . 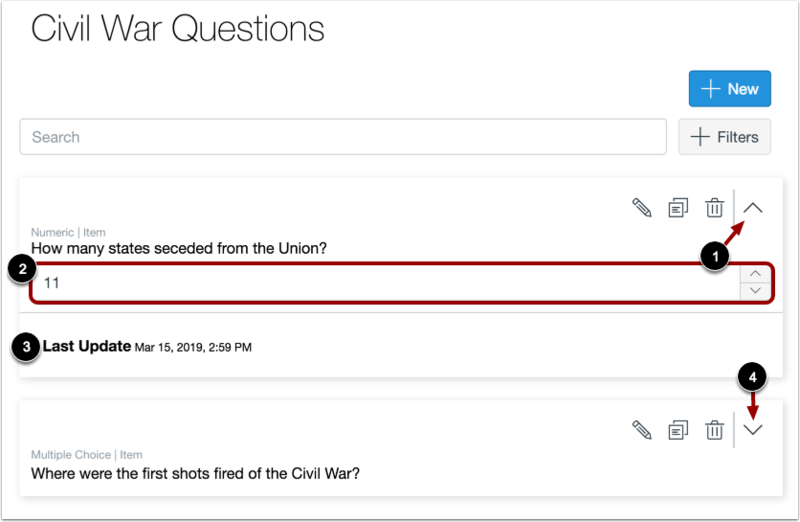 To delete a question, click the Delete icon . To return to your item bank, click the Return button . To view more details for a question, click the Open icon . 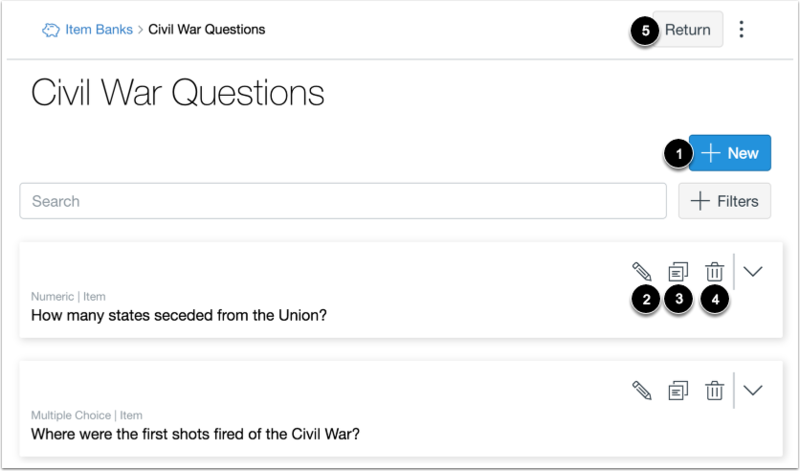 The details will include answer choices  and the date and time the question was last updated . To close question details, click the Close icon . 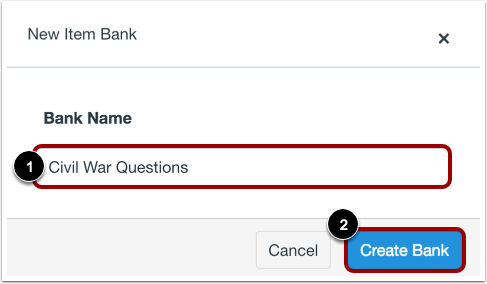 Previous Topic:How do I add content to an item bank in Quizzes.Next? Next Topic:How do I add an item from an item bank to an assessment in Quizzes.Next? Table of Contents > Quizzes.Next > How do I import questions from a QTI package into an item bank in Quizzes.Next? 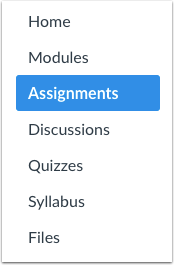 The menu represented by the vertical ellipsis (⋮) in various Canvas tools is not treated consistent in the Canvas Guides. Some call it the Settings menu or Settings menu icon, some call it the Options menu or Options menu icon, and here it is referred to as the Menu button and the Menu icon. Which is correct and would it be possible to achieve consistency across all documents. My understanding, when the vertical ellipsis was introduced, was that it was intended to distinguish Settings menus (which use the cog icon) from Options menus. I write a lot of documentation and try to be precise about the way I refer to interface elements, but I am at a loss for how to handle this issue. Thanks for bringing this to our attention and thanks for the feedback. While we make every effort to remain consistent in our documentation, we are only human and sometimes things slip through the cracks. I did a preliminary search of our documentation to find all instances where we refer to this icon incorrectly and it seems mostly isolated to these Quizzes.Next documents. I could only find a few other articles that were incorrect and have noted them for update. If you come across any others, please let us know so we can update them as well. Edit: For reference, yes the vertical ellipsis icon is referred to as the Options icon and the cog/gear icon is referred to as the Settings icon. Re: Can I really copy a Quiz from another course?? ?